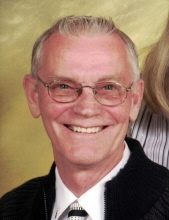 Celebrating the life of Oscar A. Shinn, Sr.
Obituary for Oscar A. Shinn, Sr.
Kings Mountain - Mr. Oscar A. Shinn, Sr., 72, of Cambridge Oaks Circle, passed away on Friday, March 22, 2019 at Robin Johnson Hospice House in Dallas. Oscar was born on January 31, 1947 in Rowan County, NC a son of the late George Shinn and Kathleen Freeman Shinn. He was a self employed painter and a member of Emmanuel Baptist Church in Cherryville. In addition to his parents he was preceded in death by three wives, Brenda Faye Gosnell Shinn, Trudy Shinn and Cheryl Shinn. Survivors include two sons, Oscar Shinn, II of Kings Mountain and Coley Shinn of Maiden; three daughters, Judy Shinn of Gastonia; Catherine Shinn of Georgia and Mary Shinn of Charlotte. Also surviving are a number of grandchildren and great grandchildren. A memorial service will be held at 5:00PM on Sunday, March 31, 2019 at Emmanuel Baptist Church with the Revs. Jerry Brooks and Tim Wilson officiating. Memorials may be made to Emmanuel Baptist Church, 1155 Mary's Grove Church Road, Cherryville, NC 28021. Stamey-Cherryville Funeral Home & Cremation Service is serving the family of Mr. Shinn. To plant a tree in memory of Oscar A. Shinn, Sr., please visit our Tribute Store. "Email Address" would like to share the life celebration of Oscar A. Shinn, Sr.. Click on the "link" to go to share a favorite memory or leave a condolence message for the family.